» Food to make enemies with. Don’t Eat Off The Sidewalk! Food to make enemies with. Hey dudes! I’m dipping my toes back into blogging, after a very hectic last couple of weeks with moving. The good news is that i’m no longer in Tennessee, the bad news is that the lack of selling our house means that while my husband is starting school, the animals and myself are mooching room and board off of my father-in-law (staying in Tennessee was not an option). Two people, five dogs, four cats, one house. Luckily, Chester is the only boy dog and they’re all either too old or too shy to be dicks, so everyone is settling in nicely (though the cats took a little longer to adjust). Including my farts. 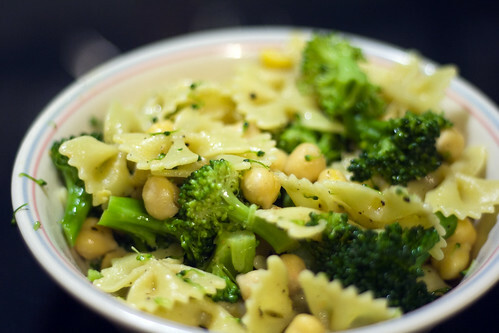 The very first dinner I made for myself here was based on the fact that I wanted buttery, noochy pasta, chickpeas, and broccoli all at once. After the past few days of living off of take out and gas station snacks, it was a welcome change of pace. But unless you’re trying to offend everyone around you, I don’t recommend this combination. Eating this almost got me thrown out of a moving vehicle, and the fart in question happened before I even got in the car. It was like I had found the magical combination to quickly generate the rankest farts ever. It certainly wasn’t just the beans, I ate chana masala for three meals in a row and i’ve barely made a toot. So there you have it, the secret to becoming a walking chemical weapon. P.S. Didn’t you miss my insightful posts?